Suffice to say, I’m quite thrilled. It feels good to have finally won some form of overall series since my Advanced Trials class in 2009. I rode far less than normal this year, but seemed to grow more and more confident in my riding. Thanks to my wife, family, and friends for all the support. Not a move I’ve exactly wanted to make, but it’s making more and more sense as time goes on here. I realize it’s not the easiest to use 45hp in the woods, but I’m finding it incredibly easier than I remember. I find that I don’t really want a Rekluse on the thing. It’s nice, but it’ll lug so much better than the YZ, that I’m just not stalling it like the 250F. We’ll see how things pan out. 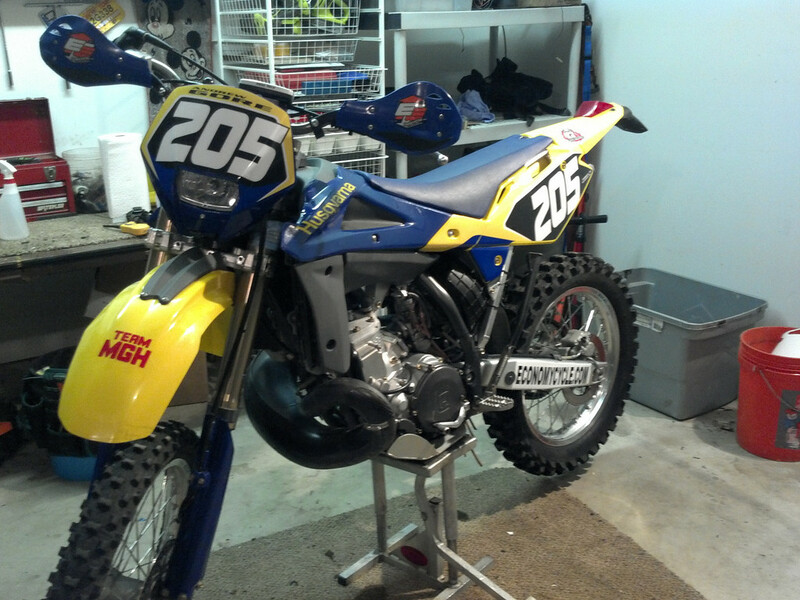 I’ve got 2 weekends on the WR450F, and will be racing it this weekend. My biggest concern with it is related to starting it. It’s no 2-stroke, that’s for sure. I did about 30 dead engine starts Saturday while riding. If the engine is good n warm, it seems like it’ll fire just fine with the kick start. Suppose I’ll do that with the finger on the e-start button at the same time. In the meantime, I’ll be on the rower tonight. This 450 works your body a heck of a lot more than the 250F. The riding from Saturday was pure awesomeness. I’ll be putting up video of it. We had a track groomed in a farm field for us. Flat track & kinda like supermoto. Tacky dirt that you could in places just about put the handlebar into the ground while railing a corner. Awesome stuff. I am at a point in my life finding myself making up for lost\missed time. Doing my best to get in as much racing before I feel I’m “too old”. I suppose it’s best to back things up a bit and give some back story. My name is Andrew Gore. I’m 26 years old and I race dirtbikes. I’ve got a lovely wife, slightly spastic dog, and officially work as a Mold Designer\Machinist at my Fathers Injection Molding\Mold Making company. I have one goal ahead of me: to race national pro enduro by 2015 (or by the time I’m 30). 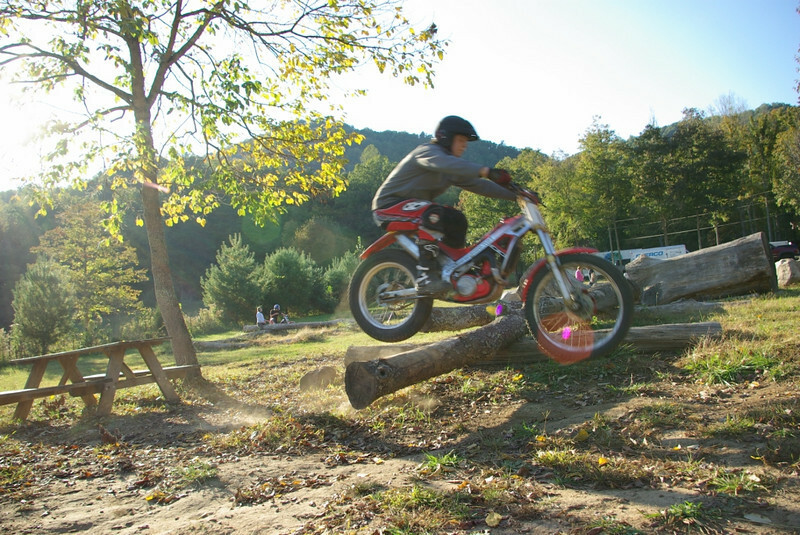 I began riding bikes when I was in elementary school. First ride I took, was on a 1974 Kawasaki 175. From then, I went into racing MX at a local track on a 1985 Yamaha YZ125 that was nothing but issues. At the same time I was dealing with that bike, I was also forced to deal with the reality that the area I had to practice\ride was being shut down. It was 1999, I was entering high school & found myself using any free time I had to go skateboarding, with the YZ sitting dormant in my basement. Through high school I went full blown into skateboarding, was shooting video non stop, and gained a great board sponsor out of Pennsylvania, and even managed my own signature board by the end of high school in 2003. Unfortunately from there, the board company was going under, and I found myself in a position of owning a paintball company with my brother. From that point on, I just didn’t get competitive in much of anything. We had separated ourselves from our fathers manufacturing business to venture out on our own, we were both immersed in work, and at the time I just didn’t feel any draw back to competition or even motorcycles. This slowly began to change when I moved back in with my parents & back to work with my father. Summer of 2004 (or maybe 2005? ), I don’t remember exactly, but suffice to say, I got the bug to ride again. I picked up a 1974 RD350 & had all sorts of fun fogging the area on the thing. 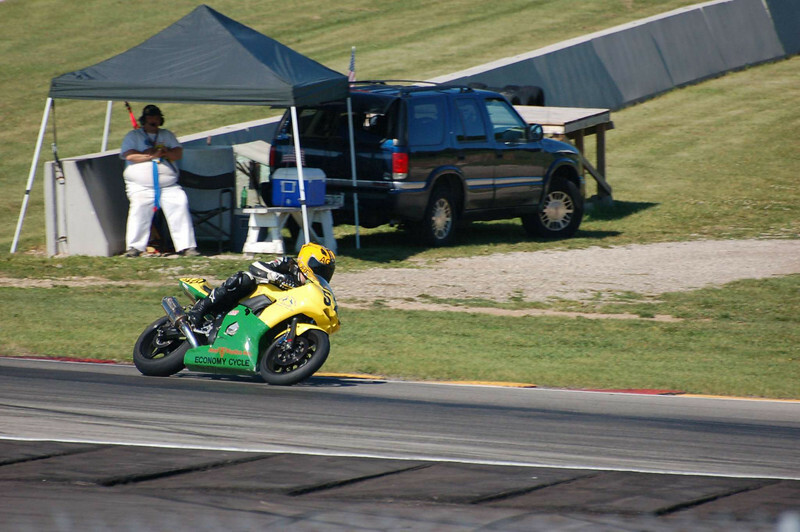 One thing led to another, and I found myself road racing a 2004 Yamaha R6. With the help of my brother coaching me, I was picking up speed at a great pace. Unfortunately, as my speed increased, as did the spending from my wallet. A weekend of racing was using up every bit of money I had, especially so after a triple digit crash sent me sliding directly towards my entire family there at the race to watch. I knew something had to give. My funds were essentially non-existent, but the desire to compete was extremely high. At this point, my dad had seen some trials events, and inquired if I’d be interested in giving that a go. We made a deal that he’d front the money for a trials bike until I sold the R6. I found a bike (1994 GasGas JT25), and a week or so later, had the R6 sold. I entered my first event and was sucked in. The slow methodical approach to riding, with a delicacy that just drew me in. After my first event, I knew I needed some schooling and in the fall of 2008, I went down to the Trials Training Center in TN. The following year, I competed in the D-17 Advanced class, and won the overall for the season. The following year had me feeling the need for a bit more speed. Early 2010, I competed in a couple trials events at the Sportsmen level, but I was feeling the need for some speed. Maybe it was me knowing I was getting married in a few months, I don’t really know. I do know that I needed some speed or change of pace from trials and began giving HareScrambles a go. I had tried a Harescramble in May of 2009. I made it 45 minutes into the event on a bone stock DRZ400S (yes, lights blinkers, everything). I wanted to die, and I was barely half way into the race. 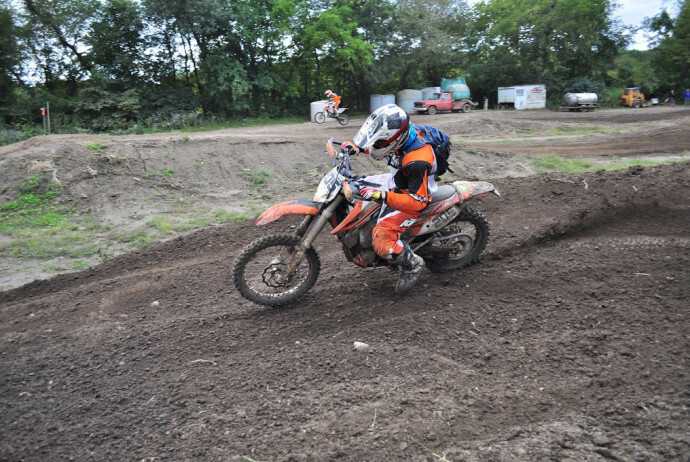 Things weren’t much different when I entered another event on a KTM 300. I got stuck in a terrible rut, sunk the bike down to its rear axle and just about lost my brain. It wasn’t until I entered my 3rd race that I even managed to finish. I’ve spent the past 2 years competing in Harescrambles, dabbled into supermoto (finding I needed to be in the dirt), and finally giving an enduro a go this past fall (2011). I’ve made a HUGE mistake the past couple years, which has been not focusing on an ultimate goal for each season. This season is different. I aim to win the D-17 Open B Enduro class. I’ll be racing local Harescrambles as well to help keep my brain in race mode, but won’t be so focused on taking the “overall” for that. Something to keep me in shape and in the spirit of racing. I’m stoked for what’s to come this year. I’m on a phenomenal bike (2006 Husqvarna WR250). I’ve got myself on a tasty diet, and have a workout plan going on. I’ll post as more comes up here. I’m excited with what I’ll be able to do on this thing. In the little I’ve tested it so far, it just feels right. Thursday I will be setting up a new grueling 3 mile test loop with full on practice Sunday. I’m unfortunately missing a Harescramble to get this practice in, but I’m trying to keep my focus on the upcoming Enduro season (using Harescrambles to keep me in race form). The weekend won’t be here soon enough. I’ll have video up soon enough of what I can do on this bike. I’m ready! The morning started with me causing issues on my bike. I had forgotten that when the bike was last in at the dealer, they neglected to torque the shift lever to an appropriate spec, leaving it a bit jiggly. No problem I figured and busted out the tools to get it locked in properly. Bike leaned over, skid plate off, wrenches out. Spin Spin Spin SNAP! There went the shifter bolt. Go figure, it snapped in a spot where it was still holding the shifter onto the shift shaft. A little bit of pit area wrenching, and the old & mildly stripped shifter were removed; replaced with a modified YZ250 shifter. Problem solved. I’ve never done an Enduro, and spent the prior week stressing over having to keep time, navigate myself, and do all those things that make riding even more confusing & difficult. Much to my surprise, I found that this enduro was run in the national\restart format. Simpley put, it’s a couple mini harescrambles (test sections), grouped together by un-timed connector routes. You are required to start each test section at a specific time. If you’re really fast, you can arrive at the end of these sections ahead of schedule, and get docked points. Or you can arrive late, and get docked points as well. The connector routes are good for a couple things. If you were late on your test section, you can make up time to get yourself back on time for the following test section, or it could be a great time to catch your breath and relax a bit, or use it as a time to have even more fun ripping around on your bike :-D.
So there I was, lined up on row 15 with a group of Kawasaki riders (great guys btw!). Mildly nervous, but ready for what the day would bring. Get to the start point, 5 seconds…..Off we roll. WFO down and across a corn field, finally dipping into some woods. I do my best to stay on the gas as much as possible, stand, let the bike bounce and float beneath me. I royally mess up just before a short & steep climb. I try to start right at the bottom and get myself up the climb, only to not stand up in time and watch my bike launch away from me into the air. It was quite impressive, just about as impressive that nothing really broke. After a few wrong turns, and bobbles, I manage to get to the first check-out point, unfortunately 7 minutes late. I made it though, and roosted my way on over to the next start point. The day continued on in a similar fashion. Come lunch time, I was ready to eat. Luckily, with the time we made, I had about 30-35 minutes to wolf down my sandwich, fuel up the bike, and get myself refocused for the second loop. Second loop was essentially a better version of the first go around. The first and second test sections I was still doing pretty well (energy wise), but by the final section, I could feel myself getting tired. Understandable, as the day totaled almost 4 hours of ride time. Overall, I was stoked on how I rode. I knew that I could have ridden better, and pushed harder in quite a few sections. Hindsight is 20/20, and I feel I should be better next go-around. I couldn’t have been happier with how the 450 powered through everything. Sure I could have pushed for some more front grip, but that was my fault for not dropping tire pressure as I should have. All that being said, I’ve heard (unofficial) that I pulled a 3rd place in the B group. I definitely can’t complain with that! Now I must prepare myself for Fox Valley Off-Road GP race this Sunday. Please give my sponsors a visit. They make these events happen for me!